NOTE: I originally wrote this piece for Mint Press News. Its editor, Mnar Muhawesh, killed the piece, which caused me to sever my relationship with Mint Press, an outlet I’d contributed to for several years. These are hard blows, but ones independent journalists face regularly (I know I have). Mint Press provided a significant portion of the freelance income I earned. As a result of losing this outlet, I am turning to readers to reaffirm their support for the unprecedented look I provide beneath the covers of the Israeli national security state. Now, in the age of Trump, independent journalism focusing on national security issues is both more threatened and more critical than ever. I will be publishing a post in the coming days summarizing the major stories I broke over the past year. I hope you will respond favorably and open your wallets to support what I do. To get a head start, look to the sidebar for the Paypal or Network for Good icons and make your donations now. While sifting through the notes of a former KGB archivist in England, Israeli investigative journalist Ronen Bergman realized that the Russian spy service’s penetration of Israel was far more extensive than previously known. Despite the many successes of the Shin Bet in exposing spies, scores of Israelis in the political world, the military, and private industry spied for the Soviets for decades without ever being suspected, much less caught. The Israeli military censor compelled Bergman to suppress the names of the most damaging of the KGB spies working in Israel in a three-part series published in recent weeks by Ynet (part one, part two, part three). In part four of his series, Bergman secured the cooperation of an Israeli triple agent who worked for the CIA, KGB and Shabak. The ex-spy agreed to be interviewed and for his identity to be exposed. But the IDF censor, Col. Ariella Ben Avraham, so eviscerated the proposed article that it could not be published. As a result, it will be some time before we learn this individual’s identity. Given that the former spy agreed to be identified and the incident presumably occurred decades ago, one wonders what the censor is protecting…except her own power and prerogative to render secret what should be known in any other democratic society. In the early 1980s, Israel’s Shin Bet “turned” a KGB agent planted in the wave of Soviet Jewish emigration that flooded Israel beginning in the 1970s. This double agent exposed the identity of the KGB’s most valuable spy in Israel. As a reward, the Shin Bet opened doors for him to become the first and most powerful corporate lobbyist and political fixer in the country. He is on a first-name basis with powerful world leaders, from Bill Clinton to Avigdor Lieberman, and is fabulously wealthy. In a 2008 article for Ynet, Bergman revealed the Shin Bet code name of a man who was sent to Israel as a KGB spy and became a double agent after Israeli intelligence “turned” him. 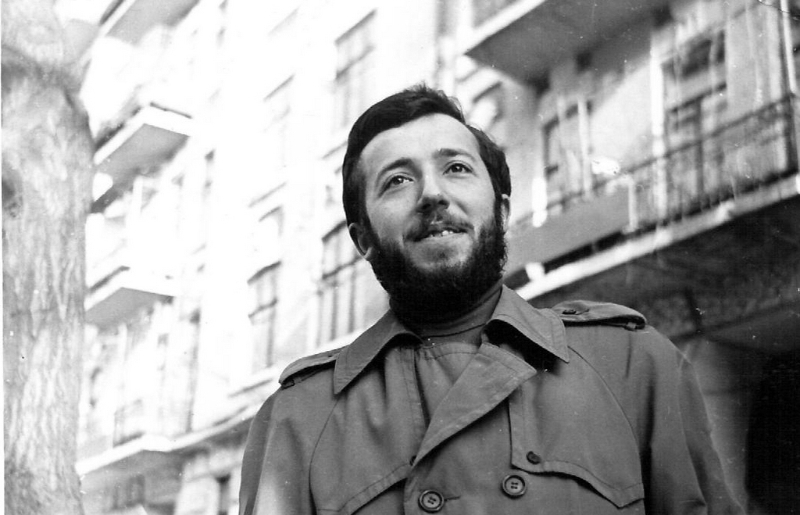 “Shomroni,” as the Shin Bet called him, got his start in the early 1970s, when he was a prominent Jewish dissident in Kiev. After massive international protest, Russia finally began opening its doors to permit Jewish emigration in 1972. He was among the first of the 1-million Soviet Jews released over the next two decades who settled in Israel. When he left his homeland in 1972, he had already been recruited by the Soviet spy service. The Shin Bet had already exposed spies recruited by the KGB and sent into Israel among the streams of Russian immigrants, so it was taking great precautions, including interviewing every prospective emigre. Something in the answers “Shomroni” gave his interrogators aroused suspicion. He was handed over to the head of the agency, Yossi Ginossar, who grilled “Shomroni” mercilessly for hours until the Russian spy broke and confessed. But “Shomroni” wasn’t prosecuted or imprisoned. The agency had other plans for him. The Shin Bet knew they had another Soviet agent in their midst, but they just couldn’t identify him. So they “turned” “Shomroni” and set him loose as a double agent. He exploited the trust the KGB had placed in him, parlaying this into eventually outing the highest level Soviet spy inside Israel, Marcus Klingberg. Marcus Klingberg survived the Holocaust by fleeing Poland and escaping to the Soviet Union just before war broke out. The rest of his family perished in Treblinka. After the war, he emigrated to Sweden, where he was reportedly recruited by the KGB. He got married and moved to Israel in 1948. He became a leading microbiologist within a decade, and eventually worked his way up to the role of deputy director of the Israel Institute for Biological Research, the secretive Israeli government defense research institution. All the while, as an agent with the code name “Rok,” he provided the Soviets with the results of Israel’s chemical and biological weapons experiments. By 1977, Klingberg sensed that Israeli security services had grown suspicious of him, so he broke off all contact with his Soviet handlers. They were mystified and sought to reestablish communication with him through other means. In the early 1980s, they tasked two former Jewish dissidents, Shabtai Kalmanovich and “Shomroni,” with reaching out to Klingberg via secret codes left in his Tel Aviv mailbox. Kalmanovich, who spent 17 years as a KGB spy in Israel, failed to make contact with Klingberg. In 1987, after the ex-Russian KGB agent was arrested abroad for writing millions in bad checks, he was sent back to Israel and promptly arrested by the Shin Bet. He spent five years in an Israeli prison. On his release, he returned to Russia and resumed his career as a businessman with reputed close mob ties. In 2009, he was murdered in Moscow in a professional hit which was never solved. Though what exactly transpired between the “Shomroni” and Klingberg remains unknown, the former was somehow able to expose the latter as a master spy. In 1983, the Shin Bet kidnapped Klingberg, torturing and interrogating him for ten days. At the end of that period, he signed a confession. He was secretly arrested, tried, convicted, and handed a 20-year prison sentence. Like Ben Zygier and Mordechai Vanunu, he was placed in solitary confinement. Foreign journalists who sought him out during the ten years he spent in solitary were told by Israeli officials that he was placed in a European asylum after suffering from a mental breakdown. Only his wife knew what had really happened, but she was sworn to secrecy. “Klingberg’s lawyers were stumped: there was no defense against charges about things he did not know that he knew,” Peter Pringle wrote for The Guardian in 2014. Yet this is the same perverse argument used to punish Mordechai Vanunu and prevent his emigration from Israel. When Klingberg was released to house arrest in 1998, he was forced to pay for surveillance cameras and guards who monitored his movements. To do so, he had to sell his apartment. In 2003, when his sentence had been served in full, he left to live with his daughter in Paris. Klingberg worked with his lawyer, Michael Sfard, to write “The Last Spy,” an account of his life published in 2007. It has been translated and published in a number of other languages, but unfortunately not yet in English. It would make an amazing thriller. When the Soviet Union fell in 1991, “Shomroni” ceased his relationship with his Soviet paymasters, transferring all the funds the Soviets gave him to the Shin Bet. In turn, he was rewarded handsomely for his efforts. The Shin Bet promised to open doors to the most powerful levels of Israeli society on “Shomroni”’s behalf. And they did. “Shomroni” became Israel’s first lobbyist, basically establishing the industry before proceeding to conquer it. He spent a decade as a close political advisor to Shimon Peres in the latter’s days of electoral politics. “Shomroni” is favored among prime ministers, oligarchs and CEOs, including Israel’s major defense contractors and all of its cellphone companies — some 90 in all. He’s lobbied for some of the worst, most anti-consumer legislation in the Knesset. He opposed a bill that would’ve forced Israel’s largest grocery chain to list prices on products. He fought a law which would’ve limited bank fees for his client, Bank Hapoalim. He’s also defended some of Israel’s most corrupt politicians as a political consultant, including Aryeh Deri, the current minister of interior and former chief of the major Mizrahi political party, Shas, who was imprisoned on corruption charges in the early 2000s. The lobbyist is also pals with Sheldon Adelson, the casino magnate who financed the political rise of Benjamin Netanyahu, and Idan Ofer, an Israeli oligarch and shipping tycoon. The influence of “Shomroni” is felt in international business circles, and he’s one of the few in the Israeli lobbying community to have so many clients and interests around the world. Procter & Gamble and Goldman Sachs are among those who summon him for meetings around the world. He lobbied on behalf of Philip Morris in order continue cigarette advertising in Israel. He’s known Bill Clinton for years. He lives the good life, smoking $1,000 cigars and ordering bottles of wine worth thousands of dollars in the finest restaurants, exploiting these assets along with his personal charm. In portraying his deal-making acumen, he’s also not above comparing himself to “the greatest of Russian actors.” On a 1984 grand tour of the United States with other young Israeli political activists, he promised: “I’ll get rich yet from politics.” And so he has. It’s the height of irony that the former dissident who spearheaded the resistance movement against Soviet repression of its Jewish community, eventually became the champion of the Israeli corporate élite and their oligarchic wealth. Yet, even today, the vast majority of Israelis can’t connect the dots between “Shomroni,” the double agent who worked for the KGB, and one of Israel’s most influential lobbyists. Indeed, because of his singular achievements, Israel’s intelligence apparatus has worked fiercely to protect his identity. In 2010, I reported the existence of a then-unnamed double agent based on a report published by News1. The Israeli media site had a blacked-out partial image of him. I could not find the uncensored original. Even his code name had not yet been reported publicly. When a Knesset minister spoke at a conference last year about the stifling role played by lobbying on Israel’s political process, he mentioned “Shomroni” by his real name. Though the speaker revealed nothing about the former spy’s past, the military censor immediately embargoed this information. The event’s sponsor, the Israel Democracy Institute, was prevented from releasing its audio recording of the MK’s talk. Putin sharing a bon mots with his pal, Yvet: the Kremlin’s man in Tel Aviv or Israel’s man in Moscow? A confidential Israeli source has positively identified “Shomroni” as Boris Krasny, whose lobbying firm is known as Policy. Krasny is also known to be a close friend of Avigdor Lieberman, himself a focus of suspicion regarding his own corrupt business dealings. In addition, Lieberman is widely suspected within Israeli intelligence circles of being a Russian asset embedded amongst Israel’s political élite. Bergman also tells (Nana recounts the story at 3:05 of this news report) of a Soviet-Jew born in south-central Russia in the mid-1950s. He studied engineering and was considered quite proficient in his field of study. The spy, whose code– name was Bejan, was recruited to an elite Soviet espionage school, where he was trained in the field of spycraft. He made aliyah to Israel and was inducted into the IDFsraeli Defense Forces shortly thereafter. He joined the officer training course and from there rose quickly in the ranks until he was appointed the chief of one of the army’s most critical infrastructure ventures. Bejan was privy to a multitude of highly secret material, including the location of bases, infrastructure facilities, data on the order of battle, and preparations for future wars. After retiring from the IDF, he turned to various jobs in the private industry sector. Later, he was appointed by Avigdor Lieberman, who himself has often been rumored to be a Russian intelligence asset, to a senior post. Then, suddenly, Bejan disappeared in 2005. He has not been heard from since. He is not the first person in Lieberman’s circle to suffer a strange, mysterious fate. News1 detailed the circumstances in which several key witnesses in the last Lieberman corruption investigation either committed suicide, disappeared, or “forgot” key elements of their previous testimony. Among them are Michael Falkov, a Lieberman communications advisor who disappeared in 2014. Yosef Shuldiner was found shot to death in an Israeli cemetery in 2006. Artium Borovik, a senior Russian journalist close to the Kremlin, whom Lieberman used to lobby on behalf of his business ventures, died in a mysterious plane crash in 2008. Daniella Mourtzi was the corporate accountant for five Cyprus-based Lieberman companies which were fronts. She was to testify as part of the government investigation into Lieberman’s shady business dealings about his ownership of the companies. But before her time came to testify, she suddenly developed amnesia and couldn’t recall a thing. Another witness in Moldova (where Lieberman was born) was interrogated and shortly afterward had a fatal stroke. This collusion between “Shomroni” and the Shin Bet, and the massive network of influence the spy created, confirm that Israel has become a rather ordinary kleptocratic Middle East backwater in which virtually anything of value is for sale and can be bought by the highest bidder — or someone who scratched the auctioneer’s back in just the right place. Gone are the days when Israel aspired to be, according to the famous Zionist dictum, a “light unto the nations.” Now, Israel has become much like the KGB’s Soviet Russia. Former emigres like Lieberman, Krasny and Natan Sharansky; and former Russian oligarchs like Arcadi Gaydamak, Mikhail Fridman, and Leonid Nevzlin, have imported the nepotism, paranoia, and oligarchism of post-Soviet Russia to Zion. How did Natan Sharansky got into the list at the end of your article? The guy sat in Soviet prison for almost a decade as a refusenik. He got several award as a human rights activist from the US government. Concerning Marcus Klingberg: his grandson, Ian Brossat, is a member of Paris City Council for the French Communist Party, he’s in favor of BDS and posted pictures and tweets during his last stay in Palestine a couple of months ago (pictures with the wife of Marwan Barghouthi among others), he also tweeted how he was treated at Ben Gourion while leaving, they were curious to know ‘what kind of Jew’ he was. Ian Brossat wrote a book last year about his grandfather (shortly before he died) to whom he was very close, and he has explained in an interview that during his childhood he went to Israeli with his mother to visit his grandfather in prison. @ Jim: Do not choose a handle like “Jim” which a thousand other commenters here might assume. We will never be able to tell you apart. And read the comment rules which note this request. In fact, most Russian dissidents of that era believe strongly that Sharansky was alternately a KGB and Shabak spy. Dr. Yuli Nudelman and Ira Nudel testified that he was a spy. Though Sharansky won a libel trial against Nudelman (I don’t put much stock in Israeli justice when it comes to holding the powerful accountable), many dissidents in Israel I know continue maintaining he was no hero, but rather a KGB plant who betrayed his comrades. But even if he wasn’t, his role since then as a well paid apparachik of the Israeli Likud regime has branded him forever as a darling of the neocons. I am disappointed with Mint Press for not publishing this important article! “most Russian dissidents of that era believe strongly that Sharansky was alternately a KGB and Shabak spy” – can you support that with a credible source? Either the ridicules facts or the that many people believe that! @Jim: I told you to change your handle to something more specific than “Jim.” If you don’t then you won’t be commenting here. Dr. Nudelman wrote an entire book about Sharansky. Read it or his website where he details his claims.